Palermo soaps are hand made and formulated for all different types of skin. Find the perfect bar for you by checking the descriptions below. 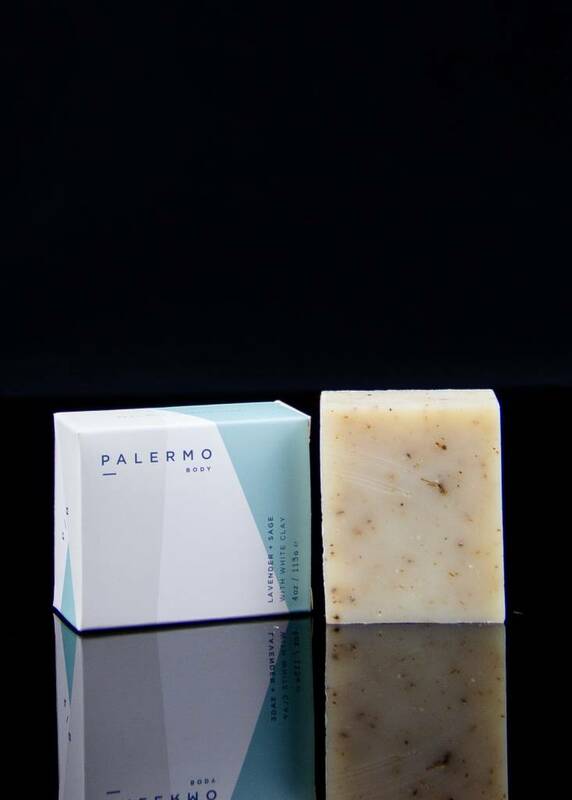 This unscented bar is the most gentle bar offered. Moisturizing coconut milk and firming oatmeal have been known to gently combat skin ailments such as eczema and psoriasis while jojoba oil gently nourishes and heals. 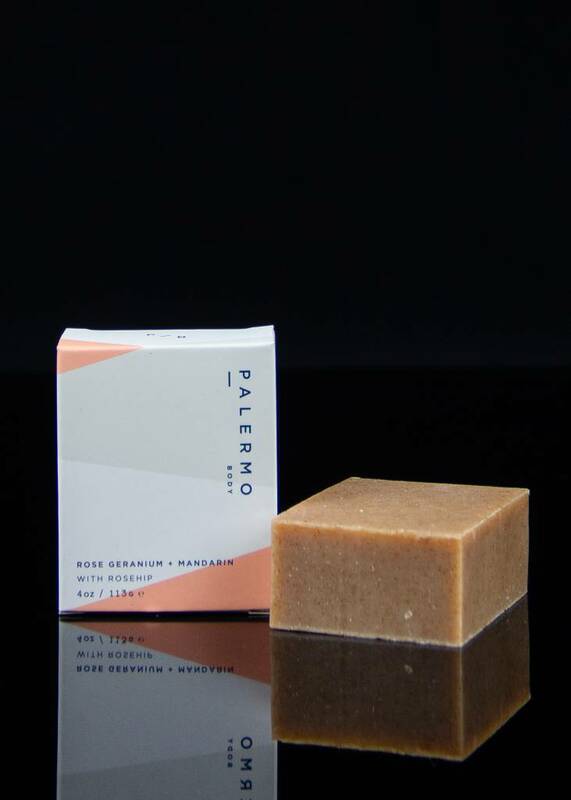 This bar is ideal for sensitive or dry skin. 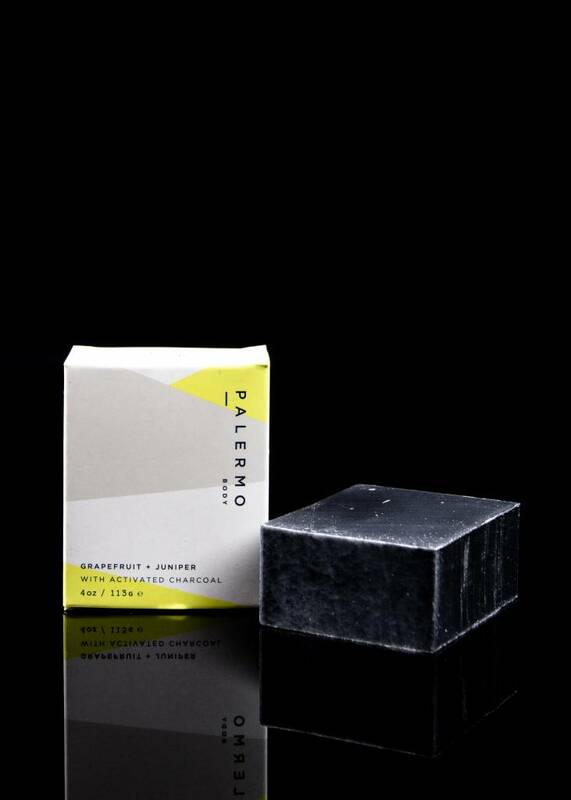 Activated bamboo charcoal draws out oil and impurities while grapefruit and juniper detoxify and tone your skin. 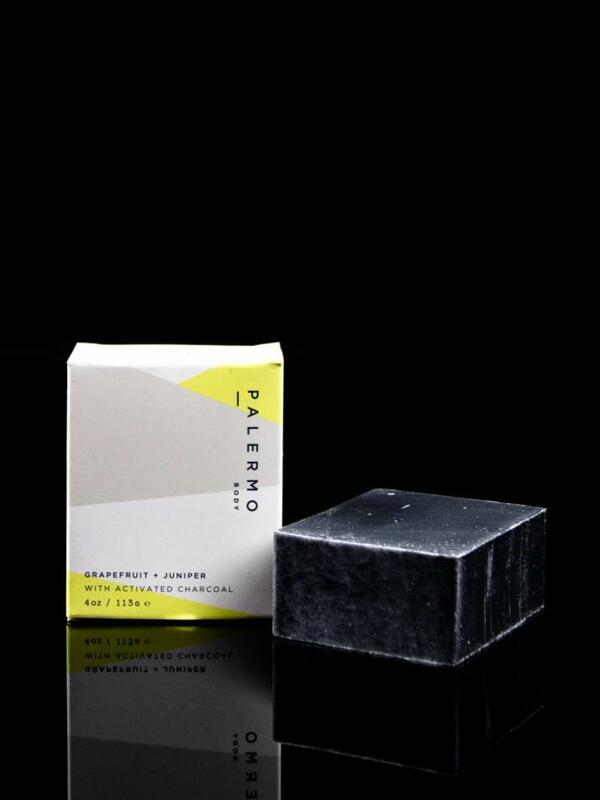 This bar is ideal for oily or blemish prone skin and is gentle enough for daily use. Calming lavender and clary sage gently soothe irritation and moisturize. White clay cleanses impurities from your skin while lavender flowers mildly exfoliate. 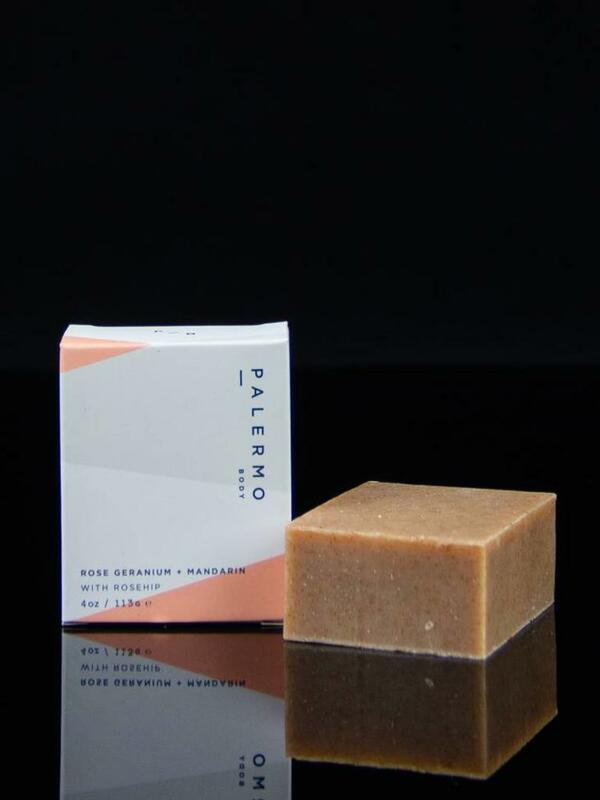 This bar is ideal for sensitive or dry skin. 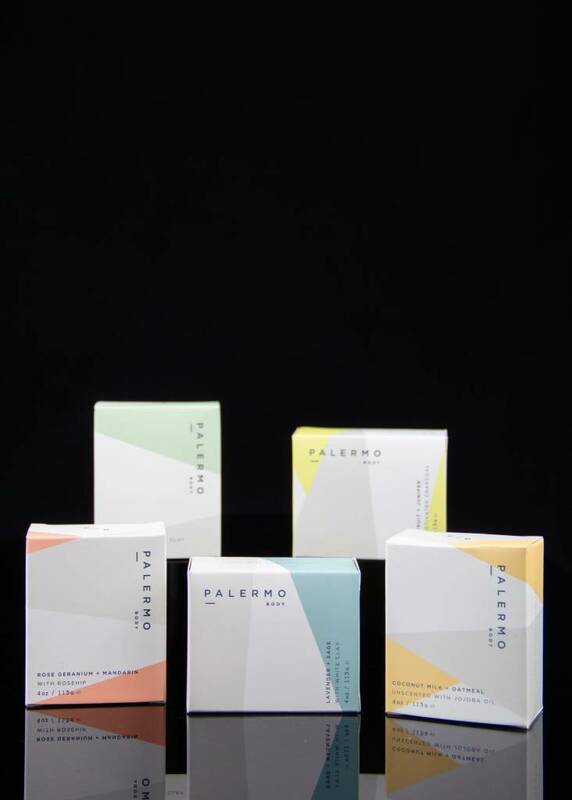 Floral, earthy, rose geranium balances skin tone and eases tension. Rich in vitamin c, rosehip has anti-oxidant properties and aids in improving elasticity. 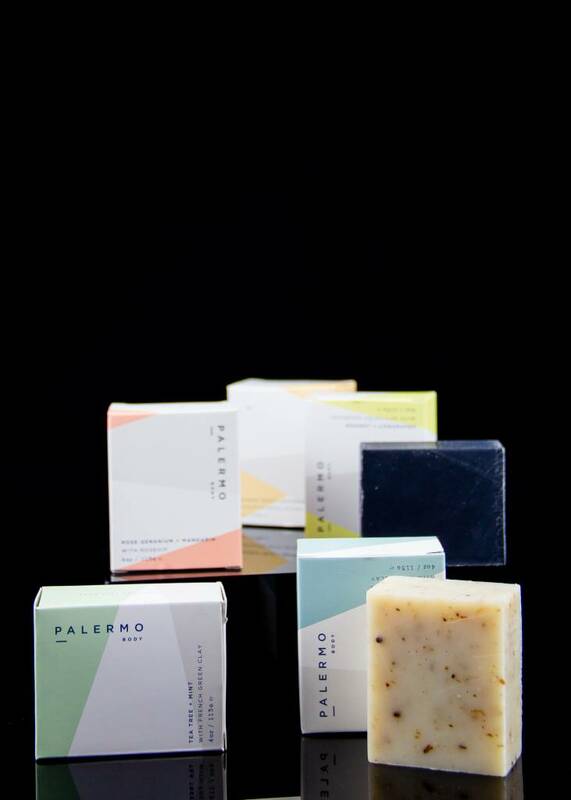 This bar is ideal for normal, sensitive, or dry skin. 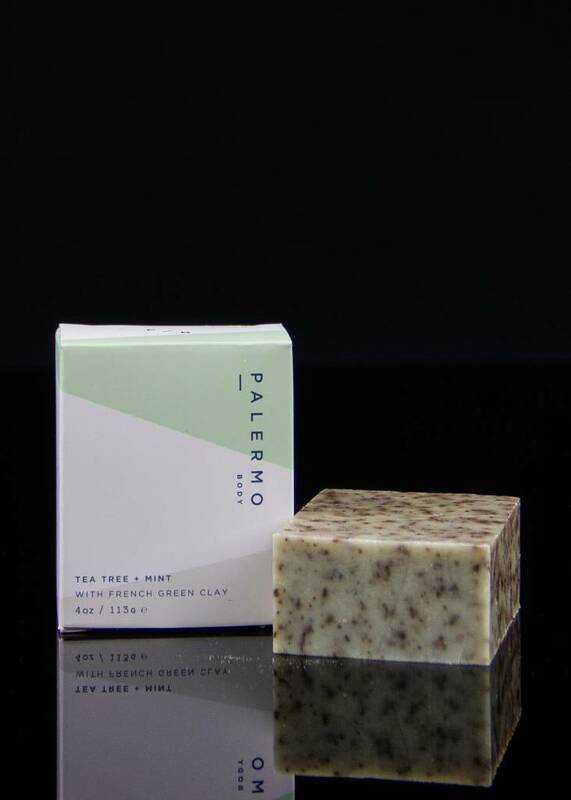 Clarifying tea tree and cooling peppermint help maintain clear, blemish free skin. 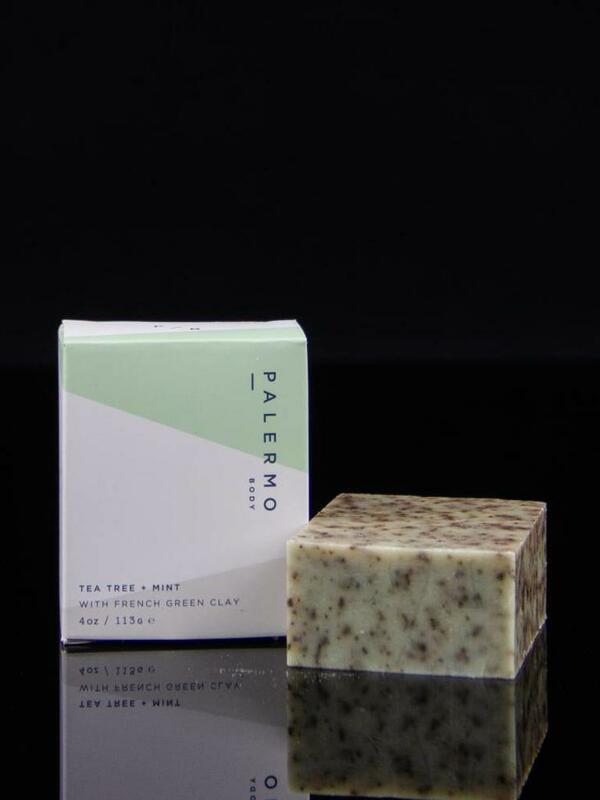 French green clay absorbs oil while toning action stimulates promoting healthy skin. This bar is ideal for normal or combination skin. Each bar is 4oz / 113g. 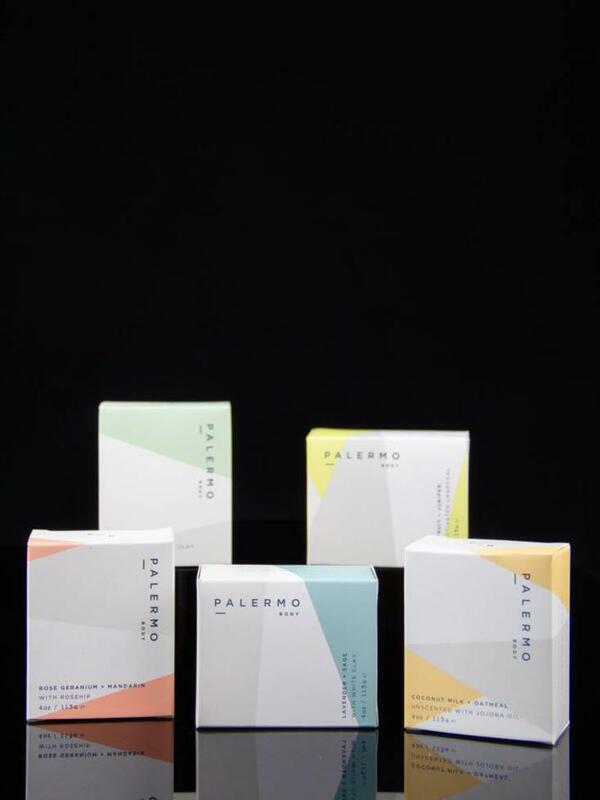 Palermo products are handmade and never tested on animals.